Mi#623-628A,Bl.50 EUR 12.50. Condition: Mint Never Hinged, VF. 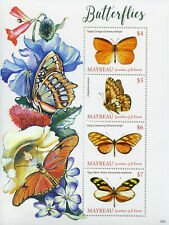 A lovely collection of 30 butterfly stamps comprising 7 complete sets . All in good condition and sent in card backed envelope for protection . And Saturniid Moth. All on a Gorgeous Background. MOTHS OF THE WORLD. FROM GAMBIA. STAMP SHEET OF 6. with Mountains and Forest Land. WHAT A BEAUTIFUL SHEET! ADD THIS SHEET TO. 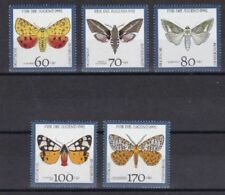 Montserrat 2013 Butterflies Definitives III - Mint Never Hinged (MNH). Set III of 1 value (1v set III) You will be back for more! Stempel und Zentrierung der hier zum Verkauf stehenden Marke(n) können sich vom Musterbild unterscheiden. Sammlungsstücke und Antiquitäten / Sonderregelung. 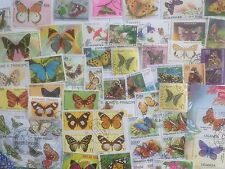 Large collection of Thematics! Other things you should know. (Sheetlet with 1 value (1v M/S): 1500F. ==================================================. 3) Select each item and 'Add to Basket'. :- The item you receive may not be the item scanned, but will be of similar quality. No Exclusions. Year of issue: 1961. Wir sind Mitglied folgender Briefmarken Fachverbände: APHV - BDPH - IFSDA - ÖBMHV - PTS. Sie entstehen können. 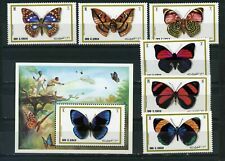 Country: Maldives, Year of Issue: 2017, Type: 4 Stamp Sheet, Topic: Bees, Insects, Red-tailed, Blue-banded, Green Sweat, Neon Cuckoo. You can supersize the picture(s) for the exact condition and item(s). make Supersized seem small. Flying Fox, Citrus Butterfly, Geckos, Kestrel Birds. Catalogue numbers and values are 2015 Scott. 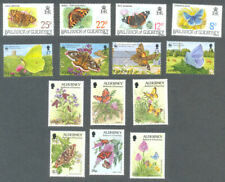 A139 - ISLE OF MAN - SG1284-1293 MNH 2006 MANX BIRD ATLAS - BELGICA 06. HAITI 625-627, C348-350 mint, never hinged. BEAUTIFUL SET! THERE ARE NO EXCEPTIONS TO THIS! THIS INCLUDES (BUT NOT LIMITED TO) CENTERING, COLOR, PERFORATIONS, INCLUSIONS AND CANCELLATION (IF USED). 2000 MNH MAURITIUS. SHEET OF 4. THIS IS A FANTASTIC SHEET AND WOULD MAKE. 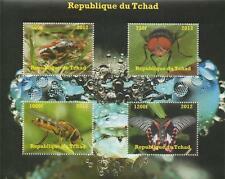 A GREAT ADDITION TO ANY STAMP COLLECTION! 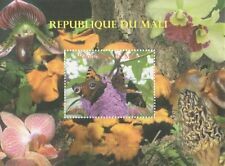 Timbres neufs en série complète. (Set of 4 values (4v Set): E0.50, E0.72, E0.80, E2.00. You will be back for more! 3) Select each item and 'Add to Basket'. No Exclusions. -:- The item you receive may not be the item scanned, but will be of similar quality. Stanley Gibbons No. : 557-560. Condition: Mint Never Hinged. Our Ref:TH728. We are ONLY HUMAN and can make Mistakes! Issued by Burundi in 2012. Year of issue: 1993. -:- The item you receive may not be the item scanned, but will be of similar quality. No Exclusions. Glauben Sie, dass der Preis ist nicht richtig?.